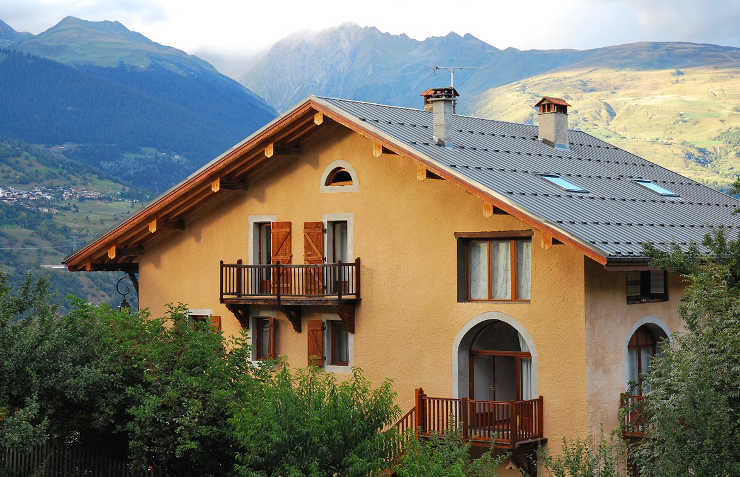 We're situated in a small village high up above the valley, but strategically loacated between some of the most famous alpine passes (Madeleine, Petit Saint Bernard, Iseran etc.) and mountain rages known for their extensiveness and their beauty (The Vanoise national park, the Mont Blanc and the Ruitor, along the border with Italy, la Lauzière, le Beaufortain, etc. ) Hikers, bikers, cyclists and mountain lovers will find this a perfect place for discoveries. Just a short walk through the forest to watch arguably the most exciting stage (the last one before Paris). On the 27th of July, we will be able to see it on the next-to-last significant climb (the Côte de Longefoy) before the stage finish at Val Thorens. We had a fantastic skiing holiday at Gite de Montvilliers. The snow conditions were great in La Plagne and the weather was kind but what really made it for us was the hospitality extended by Yves and Marie. Nothing was too much trouble for our hosts, including different breakfast/meal times and lifts to and from the slopes to suit the various demands of all the resident families. We were fortunate to be in the company of some really nice fellow guests and my boys (12,9 and 6) had a wonderful time. Thank you Yves and Marie !